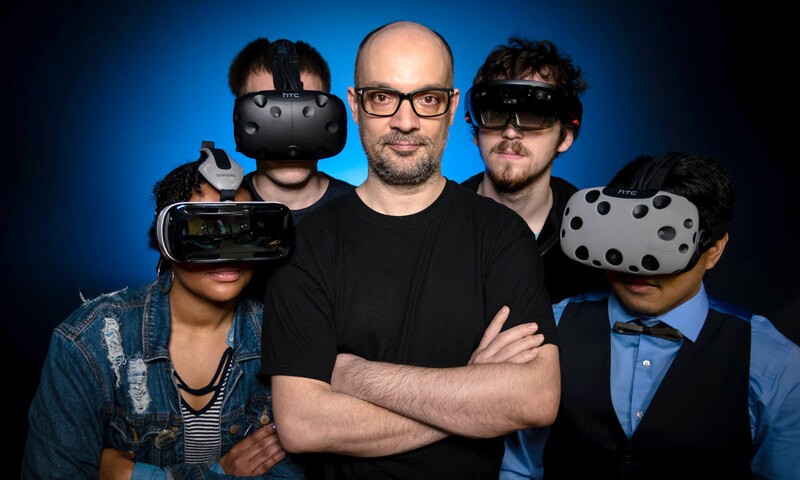 Explore the new and exciting world of virtual reality with Brian Shrank, DePaul University Associate Professor of Game Development, Theory and Design. Virtual reality (VR) is a cutting-edge technology with exciting applications in art, gaming, and communication. In this workshop, DePaul professor Brian Shrank will take participants on a hands-on tour of VR technology and learn about the process of making VR films. Brian received his BFA in Computer Animation from the Atlanta College of Art, a Masters of Entertainment Technology from Carnegie Mellon University, and a Ph.D. in Digital Media and Videogames at the Georgia Institute of Technology. He has developed the VR game “Dumpy: Going Elephants,” an experimental social card game “Pedandeck,” and written the graphic novel “Gentle Carmel: Into the Black Dumb.” Brian has also create AR games and toys for Motorola, Qualcomm, and Cartoon Network, and his new book “Avant-garde Videogames: Playing with Technoculture” is now available from MIT Press.